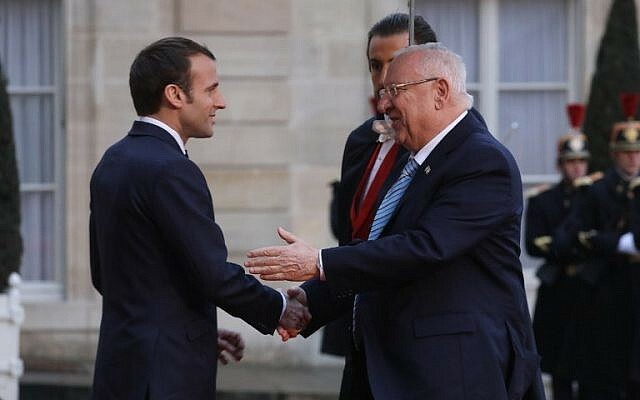 President Reuven Rivlin on Monday night expressed solidarity with France as Paris’s Notre Dame cathedral was engulfed in flames, amid fears that the iconic nearly millennium-old building could burn to the ground. “The Notre Dame [cathedral] is among the most beautiful of Paris’s symbols and of France’s in general, but also one of the most important to any cultured person,” Rivlin said in a tweet. Acting Foreign Minister Israel Katz also tweeted his solidarity. “On behalf of the State of Israel, I would like to express my deepest solidarity with France and the French nation over the terrible fire at Notre Dame, a world symbol of civilization,” he said. 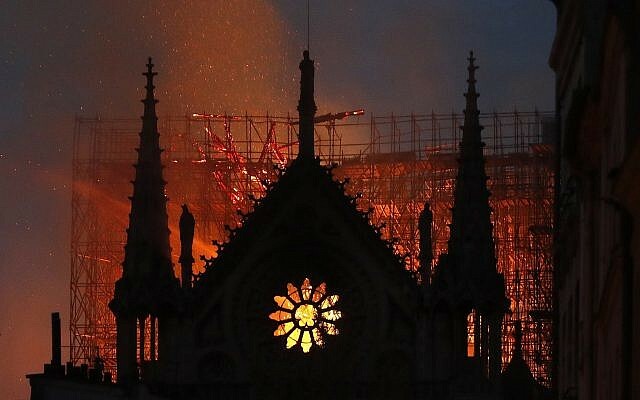 It came as France’s deputy interior minister said that the prospect of saving Notre Dame was “not certain” and as French fire services said they were “not sure” that the blaze could be stopped. “We express our closeness with French Catholics and with the Parisian population. We pray for the firefighters and for all those who are trying their best to tackle this dramatic situation,” a spokesman said in a statement.